Handling Difficult Behaviour with H.E.A.R.T. With the New Year, there often comes an opportunity to approach processes in a new and fresh way, especially within organisations. However this change and the excessive workload that stems from this change, can result in an increased number of ‘conflict bushfires’. 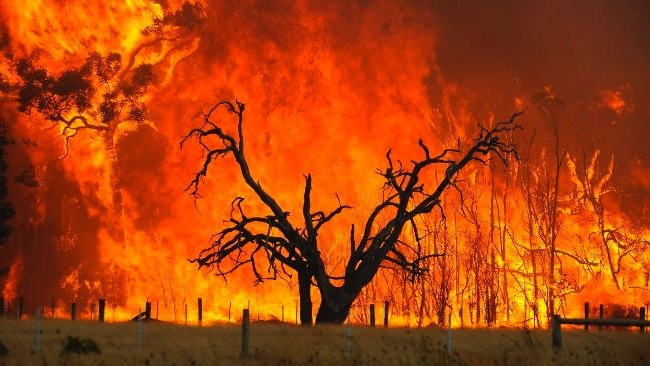 The VM Group is regularly invited into organisations where these conflict bushfires are raging or are just about to spark. Consequently, we thought we would share with you some of the basic insights and strategies an organisation can put in place in order to transform their conflict into cooperation. As we all know, prevention is always better than a cure and we encourage developing preventative strategies rather than reactive ones, so that organizations can divert resources away from firefighting and focus their time and energy on more important business goals. Our main message is that, while conflict is a fact of life, it need not be a way of life. Conflict is inevitable in the context of diversity. We all have our own goals, values, approaches, and personalities which can often be completely at odds with our colleague’s values, approaches, personalities or even perceptions of ‘the facts’. It is these differences that inevitably lead to conflict. Subsequently we need to know how to deal with conflict and use it constructively. 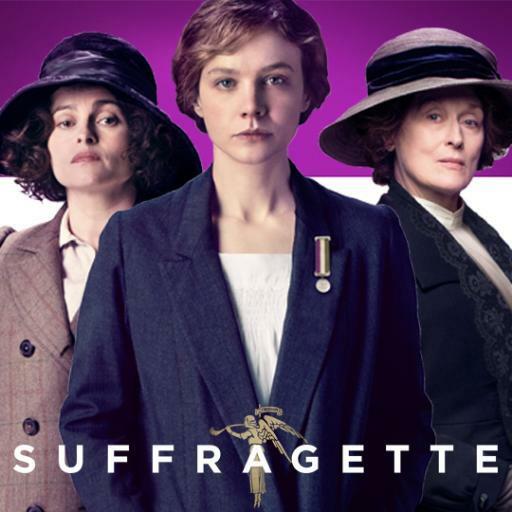 This Sunday (the 17th of January) has been declared ‘Suffragette Sunday’ by our Australian cinemas, in celebration of the movie Suffragettes being released late last year. 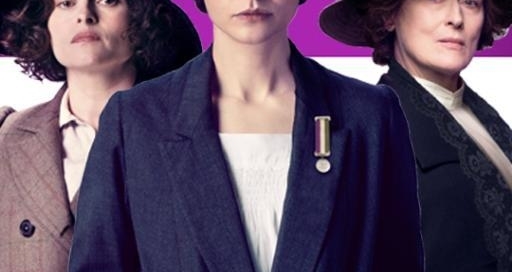 Selected cinemas across Australia have joined forces with the UN Women National Committee Australia, and have agreed to donate $1 to the UN Women National Committee Australia for every ticket purchased to the first session of the day at the participating cinemas. The funds raised will contribute to UN Women’s projects in the Pacific that keep women and girls safe from violence, provide education and training to women and girls, combat illiteracy, ensure a fair go for all, offer decent jobs with opportunities to develop as small -business owners and entrepreneurs and promote women in leadership. While society have made monumental gains in regards to women’s rights since the Suffragette era, there are still areas in which the balance between men and women is not equal, particularly within the workforce. At the end of November last year, Australia’s Workplace Gender Equality Agency (WGEA) released it’s key findings from the 2014-2015 period and while statistics have shown an improvement since previous years, there is still a lack of representation of women within positions of management. According to WGEA, 51.2% of Australian employees are male and 48.8% of employees are female. Despite this the top levels of management remain heavily male-dominated, with just 15.4% of CEO positions and 27.4% of key management personnel (KMP) positions held by women. Meanwhile a quarter (25.1%) of organisations have no female KMPs and one in five (19.4%) organisations have no ‘other executives/general managers’ who are women. In contrast 4.2% of organisations have no male KMPs and 3.9% of organisations have no male ‘other executives/general managers’. This week the media has had a field day over issues relating to gender equality. Firstly there was the now infamous sports interview of cricketer Chris Gayle who made suggestive remarks to a female journalist. Then it was reported that federal minister Jamie Briggs was forced to step down from his role as Minister for Cities after it was revealed he had acted inappropriately with a female colleague during a business trip to Hong Kong. Both incidents have sparked mass debate, particularly on the issues of sexual harassment within the workplace and the complexities and ‘grey’ areas surrounding gender equality. As soon as the footage of Chris Gayle was released, the public were quick to show their disapproval. Many deemed Gayle’s comments to be inappropriate and that they not only made the Channel Ten News reporter uncomfortable but made it difficult for her to do her job. 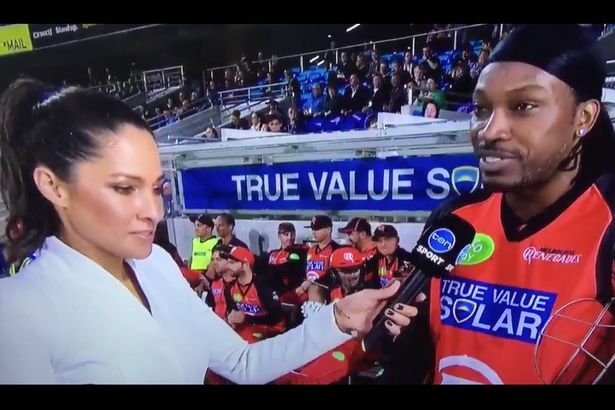 Both Channel Ten and Cricket Australia also made a point of publicly denouncing Gayle’s behaviour and he has since been fined $10,000 and made a public apology. Adding to the fire was the announcement this week that Federal MP Jamie Briggs would be stepping down from his role as Minister for Cities after it was made public he acted inappropriately with a female public servant in a bar in Hong Kong, while on a business trip. In both instances Australia has drawn a firm line in the sand about what is and isn’t acceptable in the workplace, demonstrating the repercussions faced when acting inappropriately with colleagues within a working environment. Most of us are familiar with the childhood superstition so beautifully illustrated in Ruth Park and Deborah Niland’s book When the Wind Changed. Of course we didn’t really believe that an ugly face would stick if the wind changed! However, such superstitions betray an underlying belief that perhaps change is something to be feared. As the new year looms closer and closer, we are all confronted by change, immersed in it, surrounded by it and – whether willingly or kicking and screaming – we are forced to participate in it. While there is nothing new about change – it is perhaps the most perennial force in the evolution of our reality as we know it – each age and each generation is confronted with new levels and types of change. At a broad level we have climate change, political change, economic change, technological change, and social and cultural change. In every mass media, we are bombarded with reminders of these on a daily basis. Restructuring has become the catch cry for the new millennium, with both positive and negative connotations and denotations. In the past week, we have heard discussions about raising the pension age to 67, about the need to restructure the health system, about the escalating costs of housing and growing after-housing poverty to mention just a few. All changes, whether global, national or local, impact us personally. While there may be differing degrees of impact based on the type of change experienced and an individual’s ability to deal with change, most of us experience stress when confronted with change. And all the rhetoric in the world about braving change, about its benefits, about the need to adapt and be resilient does not make it easier. While the representation of women in leadership roles has progressed over the last decade, this progress has been slow. Especially within the last two or three years. The latest findings from the Australian Government Workplace Gender Equality Agency (WGEA) has revealed, that the representation of women within management roles decline with seniority. These findings are the latest to be released by the Australian Bureau of Statistics in regards to gender studies and include senior positions of non-public sector employers, the judiciary, federal and state parliamentarians and managers in the Australian Public Service. “While women make up 48.85% of the Australian workforce only 27.4% of these women are key personnel and then again, only 15.4% of these women are CEOs or Heads of Business” WEGA stated. “The Health Care and Social Assistance (37 per cent), Education and Training (36 per cent) and Administrative and Support Services industries (21 per cent) recorded the highest proportions of women CEOs, while there were very few in the Mining (3 per cent) and Financial and Insurance Services (4 per cent),” Lisa Connoly, a representative of the ABS stated. Some of these findings come as no surprise; administrative and support service industries have always been dominated by female workers traditionally, while the mining industry has been predominantly male based. At some point in your life, you’ve probably met a person who is book smart and people stupid. This person is a valuable company asset, but is kept out of meetings because he or she can’t communicate effectively and doesn’t seem to listen to the ideas of others. He or she is sincere, but knows nothing about etiquette and manners. He or she can be interesting to talk to but has no sense of humour. He or she is very intelligent, but lacks even the most basic social skills. In general, this person makes everyone uneasy and standoffish. In particular this person doesn’t try to establish the rapport needed to create a lasting relationship, either in his or her personal or professional life. And unfortunately, it’s costing this person dearly. Now is the time for this person to mend his or her ways. Like it or not we all have to deal with others to achieve any degree of success. This is true regardless of our position in life, and no matter what our objectives may be. The more successful we are in getting others to cooperate with us, and the more people we can call our allies, the greater our chances are of achieving success. The dynamics of human relations are pretty simple: If you relate poorly to others, you will most likely have a problem-filled life, and success will come hard, if at all. If you relate well to others, you will most likely have a pleasant life, and success will come easier. And that’s where the art of creating rapport comes in. There is a piece of jargon within the professional development world that we use frequently here at VM Learning. It’s called ‘Emotional Intelligence’ (EI). It’s up there with such legendary organisational icons as Total Quality Management, Transformational Leadership, Management by Objectives (MBO) and reengineering. In fact EI has gathered so much momentum over the years that it’s worth knowing about, as many organisations now consider it to be an essential component of leadership. Essentially EI is an umbrella term coined by David Goleman in his ground-breaking work of the same name. It encompasses many tried and proven ways of improving human relations. It’s revolutionary because EI’s structure provides a simple, natural understanding of complex human issues. It also provides a pathway to skills that can enhance the way you live, love, play and work with other people. A key aspect of Emotional Intelligence is the ability to handle our emotions, especially within a workplace setting. This can be easier said than done…. Whether you love your job or not, it is easy to get bothered in the workplace. Frustrations with technology, a meeting running over time or too many distractions; sometimes no matter how hard you try to stay focused your emotions start to build. And when tension rises in any environment, it is difficult to maintain a positive and productive attitude. But emotions are simply a part of the human condition, both the good and bad, and while you may be extraordinary at managing your job role, you might not be so good at managing yourself emotionally. Time magazine has recently compiled and published the ’11 Influential Women You Should know’ which showcases some of the leading female talent all over the world- from the women fighting against Ebola to the powerful entrepreneurs holding their own on Wall Street. Being a Friday, we thought we would share this list with you, in order to provide some inspiration from some women leaders all over the world, for the week ahead. Happy Reading! Taken from Time Magazine and written by Charlotte Alter. When we think of “influential women,” there’s a familiar rotation that comes to mind: Taylor Swift, Malala Yousafzai, Hillary Clinton. This year’s TIME 100 is filled with bold-face names like those, and for good reason. Reese Witherspoon, Emma Watson, Kim Kardashian and Amy Schumer have used their fame to upend expectations about women in entertainment, and leaders like Janet Yellen, Angela Merkel, Elizabeth Warren and Ruth Bader Ginsburg are all fixtures on the 24-hour news cycle. But of the 40 women on this year’s list, many exert a different kind of influence. Chai Jing: This Chinese journalist and environmentalist’s documentary, Under the Dome, calls attention to China’s massive pollution problem. It was viewed over 200 million times before government censors attempted to suppress it (although other, more environmentalist sectors of the government supported the movie). The popularity of the film and the intensity of the reaction has prompted comparisons to Rachel Carson’s 1962 book Silent Spring, and environmentalists hope the film could nudge the country toward greener policies. In a flash of colourful silks and a stampede of hooves, the race that stops a nation is over for another year. Like the years before, the 2015 Melbourne Cup brought fashion and glamour galore to Flemington race course. However, this year’s cup also brought with it a heightened level of drama, when it was announced the winning jockey Michelle Payne, had become the first female jockey in history to win the Melbourne Cup. Payne was considered some what of an underdog prior to the race, with odds on her horse – Prince of Penzance- reaching the 101/1 mark. Yet in a great display of skill and determination Payne pushed the six-year-old horse through a narrow gap in the straight and surged ahead of Irish stayer Max Dynamite, for the victory. This not only made Payne the first female victor of the Melbourne cup, but also made Prince of Penzance the fourth horse in history to win the race at a $101 chance. In a post race interview Payne commented on the significance her gender played in winning the race and the difficulty in participating in such a male dominated sport. Indeed, this year’s Melbourne Cup was only the fourth time ever for a female jockey to be embraced and permitted to ride in the race. Congratulations to the Telstra Business Women’s Awards Winners for 2015! In a flurry of evening wear, champagne and pure talent, Telstra wrapped up it’s Business Women’s Awards for 2015 last Tuesday night. Much like the recipients before them, this years’ celebrated women were just as inspirational across the various categories they were nominated in. The Telstra Business Women’s Awards is the longest running women’s award program in Australia. For over two decades the awards have recognised women from diverse industries and ensured that their achievements become part of the national conversation. This year’s winners ranged from a weapons engineer, cultural advisor and business leader in the Royal Australian Navy, to a fitness entrepreneur who has created and is running a successful fitness business and innovative fitness app. Queensland business award winner Catherine Ball, was also commended for her world-leading work with drones. Dr Ball and her team have flown human sized drones hundreds of kilometres to track turtle habitats off the West Australian Coast, and spotted endangered animals not seen for years in the process. During her speech Dr Ball said the next step was focusing the use of the cutting edge vehicles for humanitarian work. She even warned Australian Foreign Minister Julie Bishop during her acceptance speech to expect a call from her within the week, selling the benefits of Australian technology in international aid. “ I had 20 minutes with Julie Bishop at the World Humanitarian Summit Pacific Regional briefing in Auckland and I managed to convince her that Australian-made UAVs were perfect for post-cyclone disaster response work across the Pacific,” she said. Denise D'Alton on How Important is Trust?